The Portuguese island of Madeira is a renowned world centre for Sport Fishing. 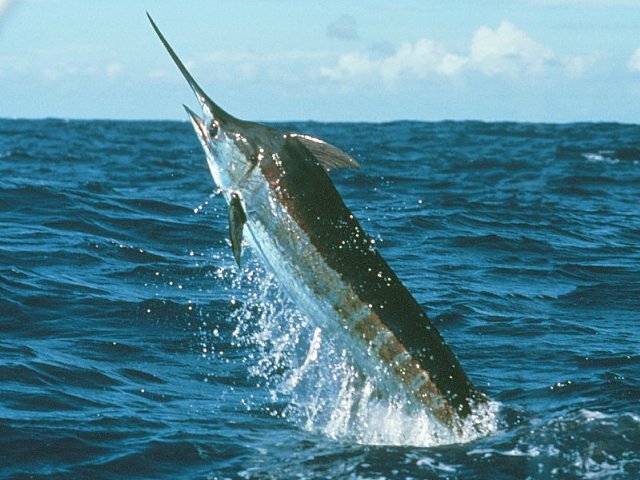 The ocean at Madeira contains a number of fish species to challenge and excite the serious sea-angler including Blue Marlin. and seek a superior angling experience. We have available for charter a 2008 model Cabo Flybridge 35 boat, fully equipped for catching some of the largest fish in the world in a known hot-spot. Our Madeiran skipper Ricardo Gouveia knows the island and its seas intimately, with 20 years experience. He knows the best places for big game fishing and is familiar with best fishing techniques for the island.